In an interview on The Q&A With Jeff Goldsmith podcast, Rothman shared some of the behind-the-scenes tidbits on creating the Oscar-nominated and Golden Globe-winning animated film, Spider-Man: Into the Spider-Verse. This included discussions about an early draft featuring a scene for Peter Parker actors Tom Holland, Andrew Garfield, and Tobey Maguire to play their Spider-sonas, but it was removed for being too confusing for the audience. However, one of the main tidbits involved the evolution of Peter Porker, the man who was turned into the famous Spider-Ham after he was bitten by a radioactive pig. 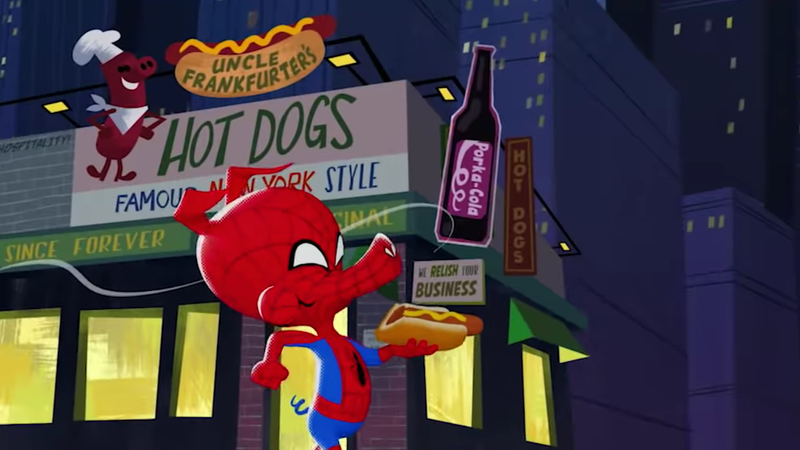 Spider-Ham was a highlight in an already stand-out movie. Voiced by John Mulaney, he had some great jokes but was also sweet and sincere. There’s a chance he could even get his own television spinoff. But according to Rothman, the character was “really controversial” during most of the production, and one of the hardest to get test audiences behind. Kids loved him, but parents hated him. He said this was partially because they were testing the movie using storyboards, which makes it hard for audiences to see jokes in context, but also because Porker got kind of annoying. Rothman compared early versions of the character to Fozzie Bear from The Muppets – an endless stream of one-liners that didn’t quite fit.